It was a great year for the Gamecocks last year and they return most of the star players. All of the skill positions including quarterback return. QB Stephen Garcia isn't as mobile as backup sophomore Conner Shaw but has a better arm. He has one of the best wide outs in the SEC with junior Alshon Jeffrey. He had a big game in the upset over Alabama and ever since then he has starred for the Gamecocks. Back Marcus Lattimore didn't disappoint in 2010 as a freshmen. He has okay speed and great vision. He's NFL ready and just a sophomore. Joining Jeffrey is junior D.L. Moore and tight end Justice Cunningham. 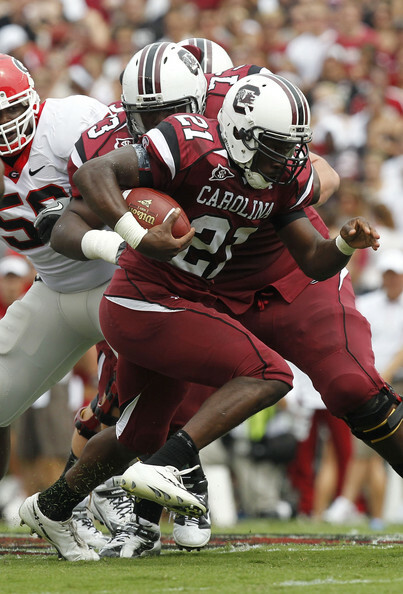 On the offensive line South Carolina lost some talent but still has tackle Kyle Nunn. 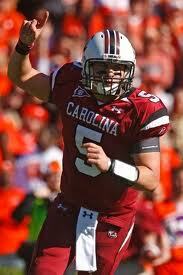 He will protect Garcia and Lattimore along with Shaw. Guard Rokevious Watkins will lead the way for Lattimore also. The defense is stingy and good even without end Cliff Matthews who is the unit's leader. They still return junior end Devin Taylor. Tackle Travian Robertson is the other returning starter on the line. The linebacker core is also talented with senior Antonio Allen and Shaq Wilson. The secondary is led by cornerback Stephen Gillmore and Akeem Auguste.